#EatTipp – Tipperary Food Producers Dinner | Geoff's AwesomeSauce | Cocktails, food and drunken ramblings. I was lucky enough to win an invite to the Tipperary Food Producers Dinner on Wednesday from Aoife Ryan aka Babaduck. As always its slightly awkward for me at these events, surrounded by people with an absolute right to be there by virtue of the food they produce, the publications they write for or food businesses they’re involved with sits me, basically a greedy sod. Starter was a black pudding and Gortnamona goat cheese dish, with Inch House black pudding (made with blood from Crowes Farm pigs). Next a pastilla of pigs cheek. Delicious rich tender pork in a kind of filo pastry wrap. 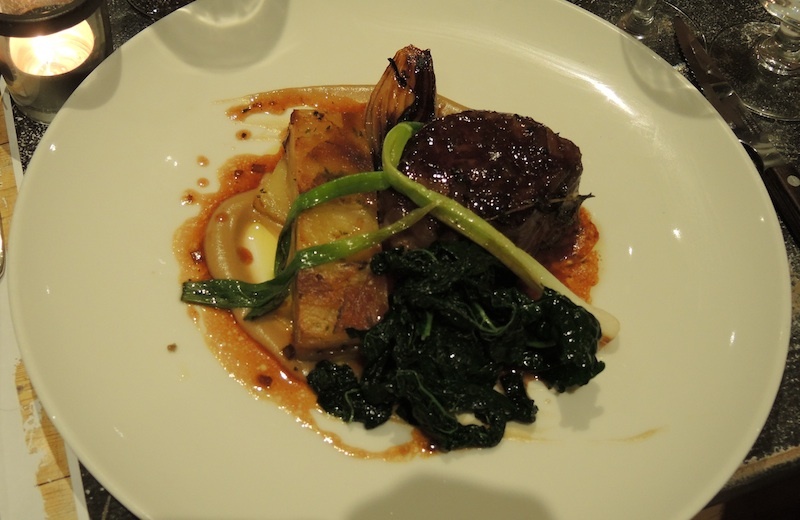 The star of the show had to be Pat Whelan’s Sirloin. Cut thick like a fillet but with a super taste. Dessert was an apple and blackberry crumble using apples from The Apple Farm. 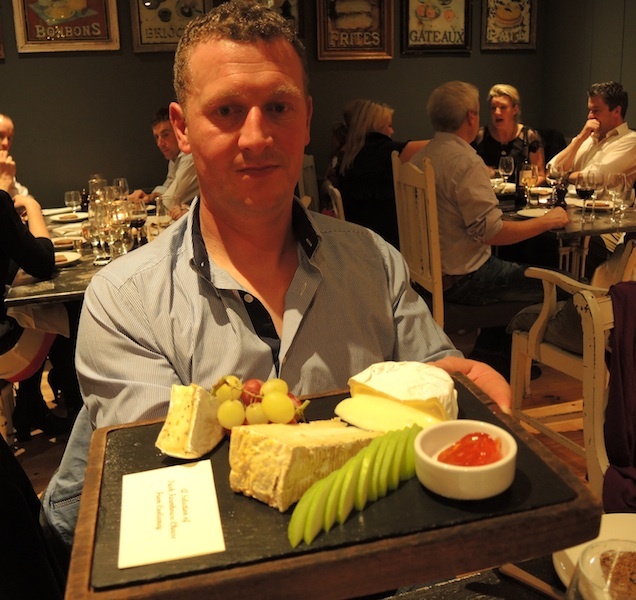 The meal finished with a cheese board, showing off the Tipp’s finest cheeses.